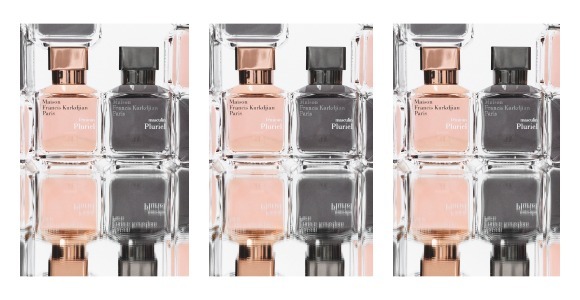 Master and prolific perfumer Francis Kurkdjian has launched his latest creations as part of the new Pluriel collection in the Maison Francis Kurkdjian line. Comprised of two fragrances, masculin Pluriel and feminin Pluriel. Kurkdjian’s inspiration for the genesis of this new line was his quest to create eternal femininity and masculinity in fragrance unbound from convention. These two new unique fragrances are designed to evoke freedom and sensuality while harnessing a timelessness required for the creation of two classic perfumes with modern sensibilities. masculin Pluriel and feminin Pluriel are sublime in their masterful interpretation of their individuality. Together, masculin Pluriel and feminin Pluriel create a mirror image of equaled masculinity and femininity and an understanding that the blending of those distinct traits makes for the perfect pairing. To read the full review on CaFleureBon and to enter in a draw to win a sample of each, click here. Categories: CaFleureBon Hound Post, Maison Francis Kurkdjian | Tags: CaFleureBon, feminin Pluriel, fragrance, Maison Francis Kurkdjian, masculin Pluriel, Perfume, review | Permalink.